Engineer Akin Elemide is the father of the world-acclaimed song writer and singer, Bukola Elemide whom we have all come to know as Asa. In a recent interview, Engr. Elemide, father of our, spoke about his principled life, how Asa was able to walk her way through fame, among other things of interest. Enjoy. Who is Engineer Akin Elemide? I am a telecoms engineer, trained in France. I studied in France, Paris. I worked in the Nigerian Embassy in Paris particularly with the Nigerian permanent delegation in UNESCO in the late 70's and 80's. I came back to Nigeria in 1983 for my youth service. I left my family there. When I finished my youth service, I went back to bring them in 1984. I have four children; three boys and one girl. 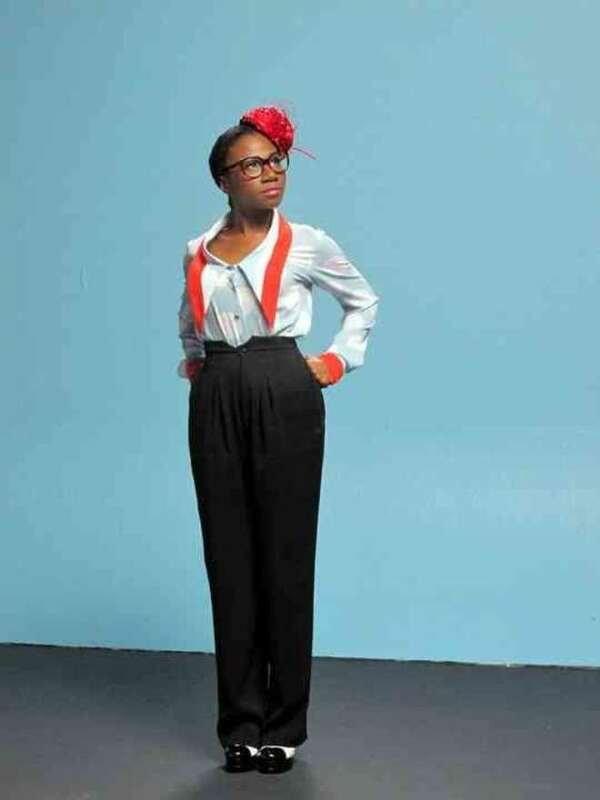 My wife is a Nigerian and the daughter I'm talking about is the popular singer, Asa. Do you know how she came about the stage name, ASA? When I brought my family back to Nigeria in 1984, Asa was still very young. She was not used to the terrain. She was always fast and swift. So an elderly man in our neighbourhood at FESTAC then, would nickname her hawk (meaning Asa) because of her swiftness. The name stuck to her and she decided to use it as her identity in music. There have been insinuations about her place of birth. Some say she was born in Nigeria while some say she is a French citizen. Could you please clear the air on that? She was born in Paris but we hail from Abeokuta, so she is an indigene of Ogun State, Itoko Abeokuta, Nigeria. So, you actually supported her coming into music? Music has been part of her from childhood because I love music myself, most especially philosophical lyrics. I listen the Yusuf Olatunji type, and that of Ayinla Omowura, Haruna Ishola and Bob Marley. And when I listened to music I would make sure my children were around, so Asa was always by my side, and being a girl that had flair for music, and the fact that we are Celestians also contributed to her success in music. So, it would be right to say that the church exposed her to handling musical instruments, as she could play konga, setting drums and what have you. Initially, I didn't take cognizance of her passion for music until a family friend called my attention to it. In my family, we are lawyers, engineers or medical doctors. In fact, I wanted Asa to be a lawyer because I was following her talent in music. I was always watching my kids' interest and I've always been there to assist them realize their ambition. So, when Asa came to me to say she wanted to go into music, I had to give her my blessing. She later got admission into the Lagos State University but something happened along the line. I was to give her some money for the school but I was robbed. And at that time, things were a little bit difficult. She came back to me and say' Daddy, I want to go and study music'. She asked me, 'Daddy, do you trust me? I said yes. And at that point, I gave her the money to go and study music in Badagry. It was there she learnt how to play guitar and other musical instruments professionally. Now, in 1996 I had to relocate my family to Jos because at that particular time, school fee became too high in Lagos. So, I can say that the robbery incident disallowed her to continue with her education at LASU. Bukky is one girl whose achievements I'm so very proud of. Are you worried that she is still single at this age? If it pleases her to marry anytime soon, it is fine by me. But we need to God for favour. Of course, she is not getting any younger but my advice as father is, she must be very watchful and be careful while choosing her future partner. Why do you still ride on motorcycle despite your daughter's standing in the society? Life is easier when you decide to take it easy. I have always to live in the midst of people. So, sometimes, I would park my car and ride on bike. That is no big deal.